Cascais is a Portuguese village by the sea, whose beauty and charm has been increasingly discovered by those who visit Portugal and, especially Lisbon. Within a short distance of Lisbon, about 30 kilometers away, it is becoming more frequent among visitors to Lisbon to do a day trip to know its wonders. Wonders such like the historical buildings linked to Portuguese Royalty, the streets full of charm, as well as its fabulous beaches, located in the heart of the "Portuguese Riviera". These qualities make the price of housing among the most expensive values in Europe and, no wonder, because its beauty is enormous. Cascais can easely be a destination for several days of holidays by the sea, but is also perfect for a day trip from Lisbon. In any case, its proximity to Lisbon makes it easily accessible, whether for the individual traveler or a family trip. As we know it is important to organize a trip, especially when traveling with children, we want to help you plan your trip and, if possible, help save on your travel budget. This is because this is a destination where the offer of tours is vast but also generally more expensive than the offers we propose. 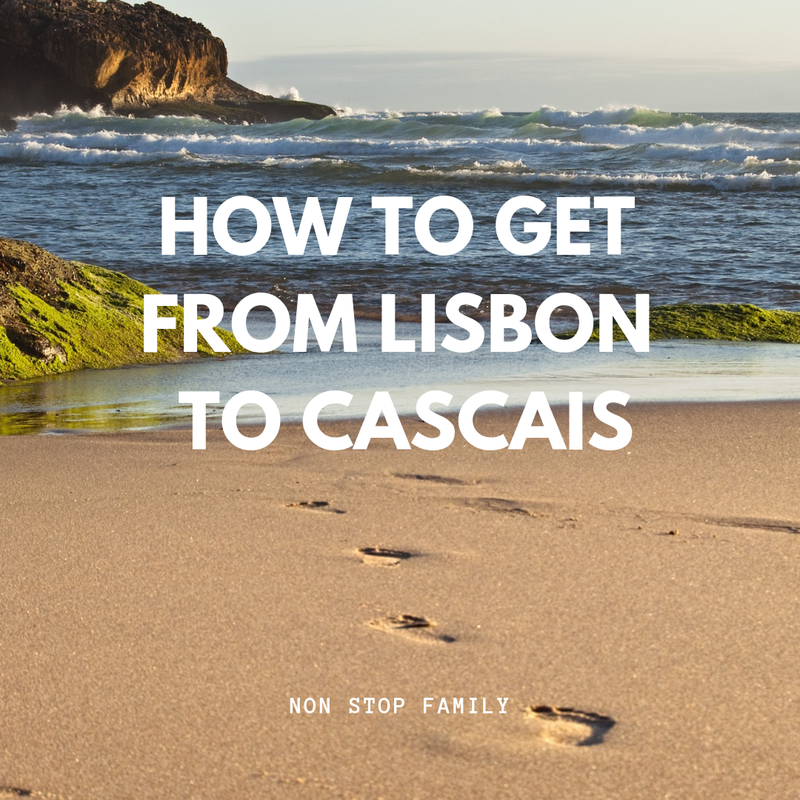 Therefore, the 2 possibilities that we will refer to get to Cascais from Lisbor are by Train and Car. We will not mention the car option, as you will be forced to spend more time, it is more complicated and offers no advantage. This is our main suggestion for anyone wishing to move from Lisbon to Cascais. In addition to the route, taking you through wonderful landscapes along the Tagus River and the Atlantic Ocean, is the most convenient, quick and cheap option. Catching the train is easy, and the journey relatively quick, approximately 30 minutes. To do this, you should go to the Cais do Sodré station (see the exact location in google maps here). There, you will take the train from the Cascais line, towards the village with the same name, which corresponds to a ticket of zone 4, with the price of € 2.25 for 2018 each trip for adult, and € 1.15 for children of 4 at 12 years (you can consult the price updated here). The price should be charged to your Viva Viagem ticket, which costs € 0.50 and you can only carry one ticket at a time, so you should return to the same operation on your return. You can purchase the ticket at the ticket offices of the station or using the loading machines that are in the station, which provide loading in various languages. 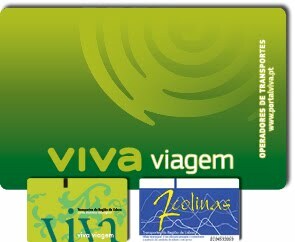 For more information on how to purchase and use the Viva Viagem card, see here. It is not possible to get your ticket online before, but there is no danger that the tickets will run out and, during the day, waiting times for a train rarely pass the 15 minutes because it is a train that works with great regularity be used not only by those who visit Portugal, but also by the locals as a privileged means of accessing the center of Lisbon. Hours of operation are from 5:30 am to 1:30 am but we suggest you check the schedule if you want to go early in the morning or in the evening. You can see it here. Suggestion: Since a great part of the course is carried out along the banks of the Tagus River and the Atlantic Ocean, in order to take better advantage of the view, we suggest that on the way to Cascais, sit on the left side of the train towards your destination and, on the way back, do the opposite. Cais do Sodré Train Station is located near Lisbon's Baixa, a little more than a kilometer from Terreiro do Paço, so you can take this route on foot. If you are more distant, what we recommend is the use of the Metro, where the last station of the Green Line, Cais do Sodré, has direct connection with the Railway Station. 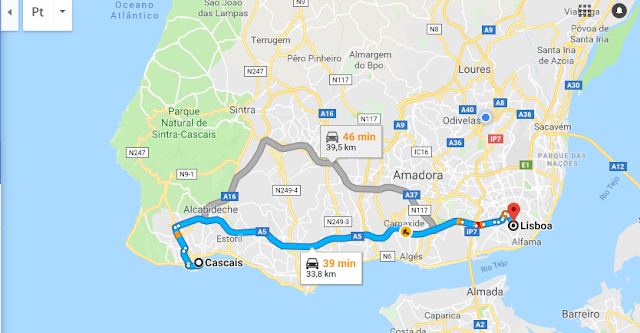 If you want to go from the airport directly to Cascais, you have to take the Metro at the Lisbon Airport Metro Station, go through the Red Line to Alameda Station and then take the Green Line towards Cais do Sodré. There is also the possibility of purchasing the "Traveling all Lisboa" ticket. This is a great possibility for those who want to walk around Lisbon and see Sintra and Cascais. For € 10.40 (2018 price, for more detailed information see here) you can buy with your Viva Viagem. 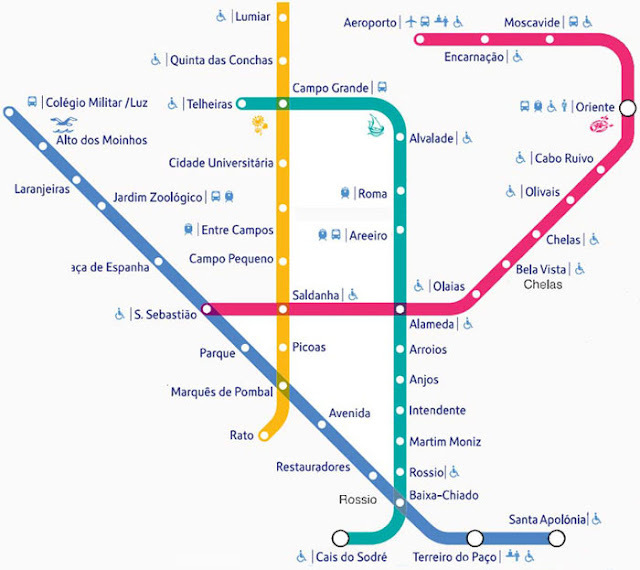 And the ticket "Traveling all Lisbon", besides allowing you to travel by all trains, buses and metros of Lisbon, still allows you to use the train to Sintra and Cascais, being able to go out and return whenever you want, wherever you want. There is also the advantage of being able to use the lifts in Lisbon, which is an added advantage to, among others, climb the Santa Justa Elevator in Lisbon (see more information here). However, this will not be the most cost-effective option unless you wish to spend less hours in Cascais and still wish to use more public transportation during the day in Lisbon. 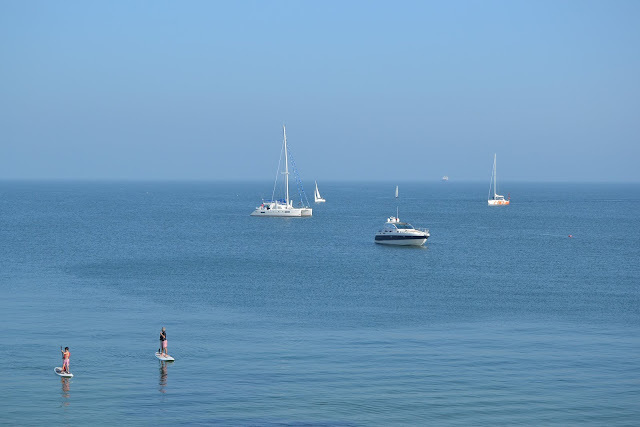 Although this is a very frequent option for locals, especially on summer weekends, when they make the most of the good weather to enjoy the beaches of Cascais, this is a solution that we do not recommend. In fact, renting a car to get to know Lisbon is rarely the best option. Besides being difficult and expensive to park a car, it is more confusing and tiring, and Lisbon is very well served by public transport. Like Lisbon, also in Cascais in the summer, it will probably be very difficult to park and sometimes the traffic queues make traveling difficult to be pleasant. We only recommend it if your plan is to extend your visit to other attractions in the area. In this case, the car may be the best option but we advise you to start your day early, to avoid the hours of traffic and to make the most of your day. If the car is a method chosen to move to Cascais, we leave two options, the first, faster, the A5 motorway, the second, more time consuming but by the sea and landscapes that will dazzle you, the N6 national road. You can consult the routes in google maps here: A5 and N6. We hope this information is useful to organize your trip. We are sure you will love getting to know Cascais. Do not forget to visit Sintra, another of the top destinations for daytrips for those who visit Lisbon, which is sure to fascinate you and its perfect for a family trip. You can see here how to get there from Lisbon.